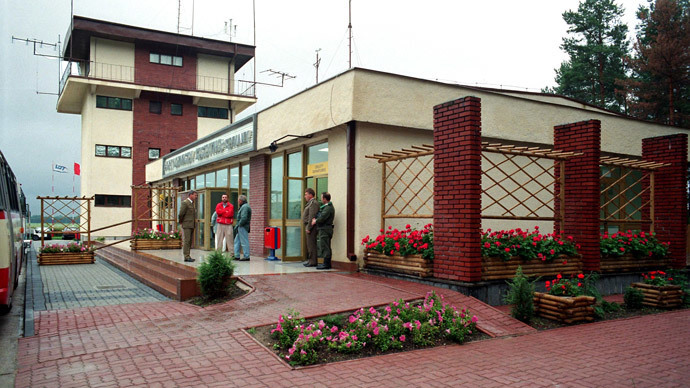 Warsaw has paid €230,000 to two former inmates of CIA "black site" prisons, which used to be on Poland's territory - a move that has raised questions in the country. "Poland has fulfilled the ruling of the European Court of Human Rights," Deputy Foreign Minister Rafał Trzaskowski said on Thursday, RIA Novosti reports. He said that money had been sent to one victim's bank account. The other's share had been transferred to his court deposit, as he is under international sanctions. The European Court of Human Rights ruled in July 2014 that Poland must pay compensation to the two terror suspects: Palestinian Abu Zubaydah and Saudi Abd al-Rahim al-Nashiri, who were held and tortured in CIA-run detention centers in Poland between 2002 and 2003. The court set this Saturday as the deadline for the payments. The two men are now being held in America's Guantanamo Bay prison in Cuba. They are to receive €100,000 each for psychological damage, plus Zubaydah is due an additional €30,000 in court expenses. However, no US officials have been held accountable to date. The only other related ruling handed down by the European Court of Human Rights was to Macedonia. In 2012, it was ordered to pay €60,000 for the detention of a Lebanese-German, who was subjected to abuse by the CIA on trumped up terror suspicions. Poland has been investigating allegations of secret CIA detention centers or "black sites" on its territory since 2008. In December 2014, Poland's former President Aleksander Kwaśniewski officially admitted that a secret CIA prison had existed at an airbase, where terror suspects were brought for torture and interrogation. He insisted, though, that Warsaw had no idea about the abuse happening at the site. Kwaśniewski's statement came on the heels of a US Senate committee report on CIA activities. In August the same year, Barack Obama admitted for the first time that torture had indeed taken place in American custody after the 9/11 attacks. The authorities should have expected to be held accountable sooner or later, criminology professor Ben Davis told RT. "The only people who have been betrayed in all of this are the ordinary people in all of these countries," he said. "The ordinary citizens who count on their governments not to torture people, to comply with their obligations in international law or domestic law."